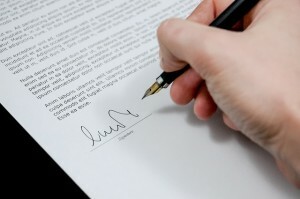 The Purchase Contract is one of the most important documents that you’ll work with during the home buying experience. To view a sample purchase contract, visit the download link at the bottom of the page. A real estate purchase contract is a binding agreement (between two or more parties with legal capacity) to purchase real property. It is based on legal consideration. Sometimes, it will also be referred to as a Contract to Purchase Real Estate or Residential Purchase Agreement. The purchase contract is legally binding and should be carefully reviewed prior to signing. This section gives a legal description of the property, including the address, as well as a list of items which will be included in the sale and those which will be excluded. For example, the purchase price may include the kitchen appliances, however it may not include the deep freeze in the basement. Each of these items are generally negotiated between the buyer and seller prior to signing the purchase contract. 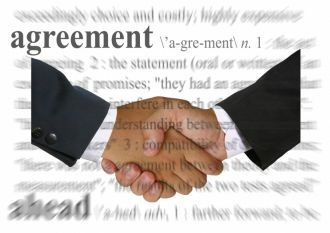 This section will specify what financial agreements are negotiated between the buyer and seller. It will list the initial monetary deposit amount, any additional deposits to be paid as well as what financing will be in place. This section looks like a balance sheet, because it indicates how much money will be left owing after deposits and shows a “final purchase price”. This total, unless otherwise agreed, generally includes GST. This section is more specifically about how the deposits are paid, and on what type of time frame. For example, you may agree to pay $5000.00 and have your realtor hold it in trust for the buyer. Your realtor will then submit the deposit to the seller along with your purchase contract. If there are additional deposits to be paid, it will be specified in your purchase contract perhaps that you’ll pay that additional deposit within 3 days of the buyer’s acceptance of your offer to purchase. Generally, there is also a sentence added to the purchase contract in the deposits section that states those additional deposits will be paid upon waiving of all conditions. Conditions to the sale may include such things as Financing Conditions. As the purchaser, you may need be able to secure financing in order for the purchase to happen; if that’s the case, a condition such as this would protect you from “being on the hook” for the agreed upon purchase price if your financing fell through. This section denotes what possession date you and the seller have agreed upon. The closing date is affected by many things. It takes time to submit the offer, have the offer accepted, get in touch with a lawyer and have the paper work processed. 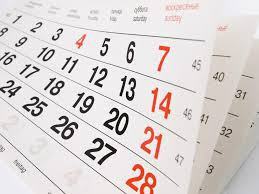 Frequently, the closing date will be as far as two to three months in the future. This portion of the contract will also specify special details about who is responsible for which costs in the transaction. For example, if the property you are purchasing is currently rented and your agreement with the buyer is that you don’t want to inherit the tenants, you may have included in the agreement that the seller is responsible for the costs associated with giving you vacant possession of the property. This is a small clause in the contract which helps determine who will get insurance money in the event of loss or damage to the property during the time of the transaction. The seller maintains all the risk until all payments are made. If you haven’t made any payments on the property, other than the deposits, then you’d have a much smaller interest owing to you in insurance if something were to happen to the property. (d) the current use of the Land and Buildings complies with the existing municipal land use bylaw;(e) the Buildings and other improvements on the Land are not placed partly or wholly on any easement or utility right-of-way and are entirely on the Land and do not encroach on neighbouring lands, except where an encroachment agreement is registered on title, or in the case of an encroachment into municipal lands or a right-of-way, the municipality has endorsed encroachment approval directly on the real property report;(f) the location of Buildings and other improvements on the Land complies with all relevant municipal bylaws, regulations or relaxations granted by the appropriate municipality prior to the Completion Day, or the Buildings and other improvements on the Land are “non-conforming buildings” as that term is defined in the Municipal Government Act (Alberta);(g) the current use of the Land and Buildings and the location of the Buildings and other improvements on the Land comply with any restrictive covenant on title;(h) except as otherwise disclosed, the Seller is not aware of any defects that are not visible and that may render the Property dangerous or potentially dangerous to occupants or unfit for habitation. This section is what protects you as a buyer. It assures you that you’re getting what you pay for and that you have legal recourse if it turns out one of these things isn’t true. This section contains some standard legal terminology regarding time periods and deadlines as well as offering a place to put in any additional terms which you and the seller agree to. For example, perhaps the seller has a giant stack of 2X4’s waiting to be recycled which are sitting in the garage taking up space. The two of you may agree that one of the conditions prior to purchase is that the seller has the wood removed. This section also lists additional schedules which will be provided and attached with the purchase contract. 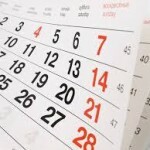 One example of a schedule may be the Financing Schedule. It’s only stated in this section that it will be attached, indicating that it will be on a separate document. This section spells out exactly at what time of day on on which dates each condition must be met by both the buyer and the seller. For example, as the buyer, you will need to secure financing. This section of the purchase contract will spell out exactly when the deadline is for you to secure that financing. This enables both parties to know when things will be achieved. As well, it will allow both parties to move forward accordingly if one of the conditions is not met. Most often, this section also includes a clause which states that if one of the parties knows that one of the conditions will not be met in time for the deadline, providing written notice to the other will effectively end the purchase contract. This section spells out what each party has the legal right to in the event that the contract is defaulted in some way. In this portion of the purchase contract, the special legal obligations are reviewed. There are clauses which state that property measurements may not be exact, brokerage and legal representation are described, permission is stated for record keeping and how the copies of the signed contract may be transmitted (fax, email) and that they would still be as effective as delivering them in person. This section also contains a notification that “Dower Consent” may be required. This form of consent will be necessary in a situation where the seller is legally married, however the property is only registered in one person’s name. Dower Consent is when it is legally agreed to by the spouse that the property is to be sold, even though they are not listed on the ownership documents. This section must be fully completed by the buyer and seller. It provides contact information and direction for communication regarding the purchase. This section states whom you are giving permission to in order to act on your behalf; your real estate brokerage information and contact information for your real estate agent are listed in this area. This is the last section you will fill out before the purchase contract is presented to the buyer. This is where you “sign on the dotted line” and make it official. This section will also contain clauses about how long the offer stands and until what date the buyer can provide you with a counter-offer if they desire. Once you’ve signed the purchase contract, the next step is for it to be presented to the seller. There are a couple of things that may happen at this point: the seller accepts the offer as-is, the seller responds with a counter offer or the seller may decline your offer to purchase altogether. In the case of offer acceptance, it’s time for celebration! This means you’ll be moving forward with the purchase. In the event that the seller provides you with a counter offer, you’ll need to take time to think whether you’ll accept it. Perhaps the seller wants a couple of conditions removed before he agrees to accept your price (maybe he doesn’t want to move that wood in the garage!). Perhaps the seller has competing offers on the table and you may need to offer a bit more than you’d originally planned in order to make the purchase happen. You’ll need to decide what is really important to you in order to make these choices. Lastly, if the seller declines your offer to purchase, then it’s time to move on and begin your search again. If the seller accepts your offer to purchase, they will have singed and dated this portion of the purchase contract when it is returned to you. Once the offer has been accepted, the last section which will be filled in will be the Conveyancing Document. This portion is a one page document which is used by lawyers and contains all pertinent information about the buyer, seller, their legal representation contact information and property in the transaction. To download a free copy of a sample Purchase Contract, visit the download link below. If you have any questions, our team of real estate experts are available to assist you. Just give us a call!